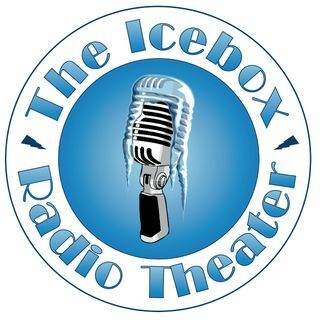 The Icebox Radio Theater is a group of dedicated writers, actors and sound effects artists creating new, original plays in the medium of sound. Explicit FIST #131: Let's make a Damn it's Cold! It's an 8-day count down of all the holiday offerings from the Icebox Radio Theater. Everything from original comedy, to holiday parody and ending with our own radio adaptation of A Christmas Carol. Join Aela, Caleb, Justin and Jeff as they comment on all things pop culture, politics, hockey and more from the perspective of an urbane wit trapped in dirt road environment. Comedy! From the rustic. Classic stories of mystery and suspense from some of the greatest authors of all time, adapted here for the Theatre of Imagination. Cut off from outside TV or radio signals since a meteorite hit the lake in 1975, the tiny border village of Icebox, MN creates its own news, music and entertainment on 'Radio Icebox', the mostly-legal, low power radio station housed in the basement of the historic opera house. Of course, 40 years of isolation has made the ... See More folks in Icebox a little...different. All the best science fiction, fantasy and tales of the fantastic from the Icebox Radio Theater. All the news, views and gossip from the Icebox Radio Theater in International Falls, Minnesota. Your weekly news feature about Radio Icebox, and more! Audio fiction in a CHILLING vein. The best in horror and dark fantasy from the Icebox Radio Theater. Experimental, new actors, kid's stuff; it's all here. The Workshop is the place the Icebox Radio Theater lets its collective imagination fly! All the world’s a stage, even if you can’t see it. In ‘The Invisible Stage’ the Icebox Radio Theater offers up it’s best dramatic offerings from suspense to romance and everything in between. Warm you heart…with laughter! The Icebox heats up with all the best skits and plays in a humorous vein.